We participated in this project ,responsible for a part of Energy harvesting on Smart bicycle. The whole plan is divided into three years, we developed a Anti – theft System in first year, Multiple-source Energy harvesting System in second year, and Auxiliary brake power generation system in third year. 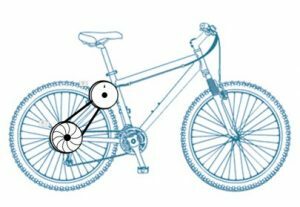 The second and third year, we want to design a power system on bicycle, and it can power itself. 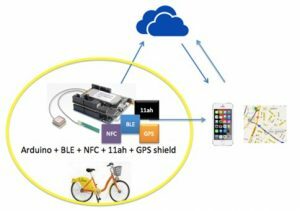 The system detects whether the bicycle is tilted and then transmits the packet to the user with BLE. The MPPT (Maximum Power point tracking) power management module is used to track the maximum energy point (P = IV) when the solar panels generate electrical energy to collect energy from the energy storage element in the most efficient way and use the BLE to deliver power information to the user’s mobile phone. And then send information to the cloud, to provide users and other users to participate in information, to understand those areas of the strongest sunshine, you can collect enough energy. We will also optimize the original system in the third year, add a wider variety of energy input sources, and provide power supply to the device on bicycle (EcoBT, Arduino) and deliver the power information to the user. To generate power with brake energy. CVT will use the wheel rotation energy transmission to the gear motor power generation, and take advantage of the resistance of power generation and CVT system energy consumption to achieve the auxiliary brake effect. In the future, we’ll build a prototype for CVT-based Regenerative braking system. Because of the design bottlenecks, We will be looking for mechanical professionals to cooperate this project.